If you’re thinking about putting Rihanna’s face on clothing and selling it, think again. This day in age, many celebrity are finding themselves being used for other’s gains and Rihanna wasn’t having it. 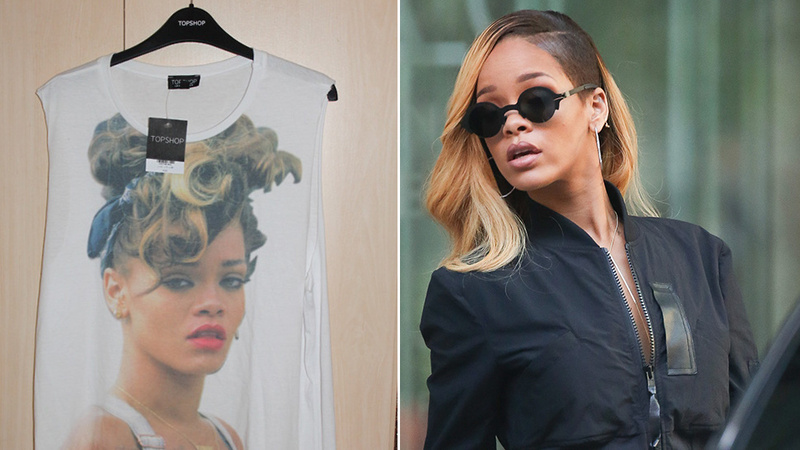 Recently, Rihanna won her lawsuit with high-end international clothing retailer, TopShop, who has been using a snapshot picture of Rihanna’s We Found Love on the front of a sleeveless tank top. In the UK, many celebrities don’t have that many rights to how their imagine is used, which is surprising since their paparazzi has more laws than America now. But with Rihanna’s ‘Top Shelf’ lawyers coming into play and finding a loop hole in their laws, Rihanna is able to walk out the court Rihanna “Triple H’ing” (for all my WCW fans) it out as she waits patiently to become 5 million dollars richer.